Roof mounting assembly for variable pitch wood roofs (roof peaks or flat sides), most ridge vents, studs, joists, etc. Roofing Fall Protection KitEasy to use and install on steep-pitched or flat-surface roofs. 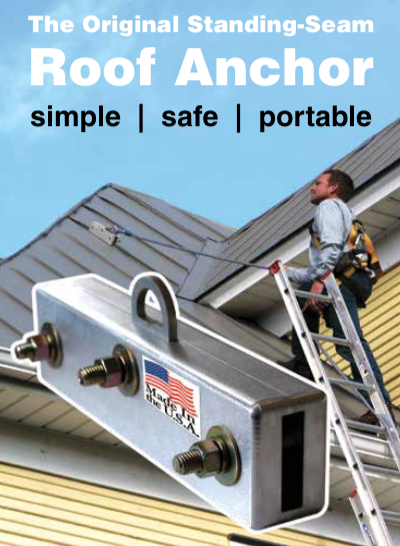 The SeamSafeTM Roof Anchor is a light-weight safety device that can be installed on most standing-seam roof systems quickly and easily. 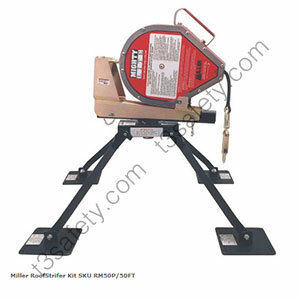 The portable device weighs 6.75 – 8.00 lbs, can be installed with only one wrench, and provides fall protection for up to 5000 lbs. 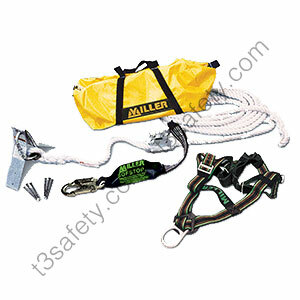 The SkyGrip Temporary HLL System is a fall protection anchorage system designed to attach to a suitable anchor. The stanchions of the system are commonly attached to a steel beam or concrete beam/girder. Stanchion style systems include upright posts, or stanchions, that support a horizontal line. 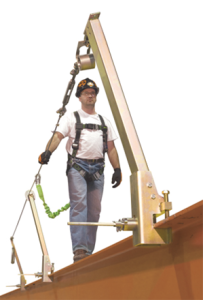 A worker, wearing a full-body harness and using a connecting device such as a shock-absorbing lanyard or self-retracting lifeline (SRL), connects to the lifeline of the system. 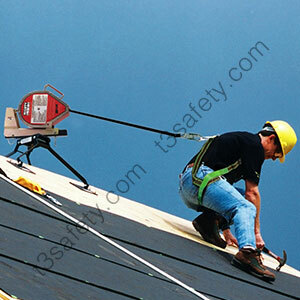 The worker can then safely move horizontally.